The state known as Sportsman’s Paradise has a boatload of festive options to choose from. 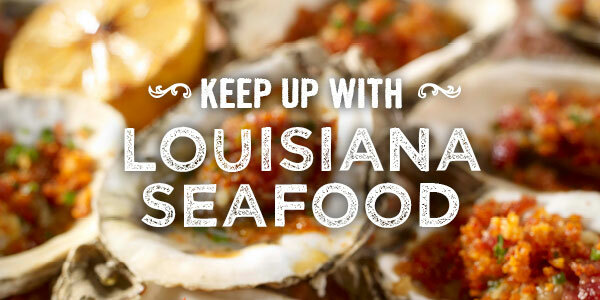 Mark your calendars to save the date for these nine mouth-watering events that spotlight Louisiana seafood. Seeing the faces of our food system. Louisiana and its proud history of providing for our table. Read more about Seeing the faces of our food system. Louisiana and its proud history of providing for our table. NEW ORLEANS CHEF BRIAN LANDRY OFFERS ADVICE ON HOW TO PREP AND SERVE SEAFOOD. If you’re wondering how best to store, prepare and serve fresh seafood, chef Brian Landry is a good man to ask for advice. Decades before he joined chef John Besh in opening New Orleans seafood restaurant Borgne, Landry was spending summers catching shrimp, fish and crabs at his grandfather’s rented fishing camp on Lake Pontchartrain. “I had a very positive relationship with seafood from an early age,” he said.